The first meeting of the PICUM’s Working Group on Legal Strategies was held in Brussels on 12 December 2013. 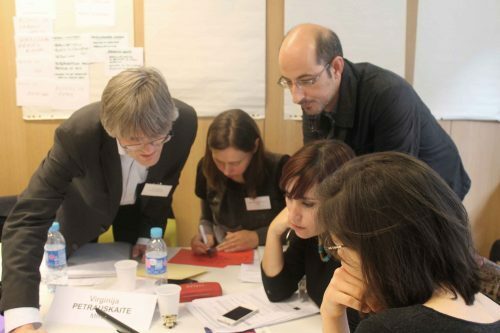 The meeting brought together legal experts within the PICUM network and presented a key opportunity for those interested in developing legal strategies as a tool for policy change to improve mutual learning and share their experiences at regional, national and international level. To view more photos of the working group meeting, please click here. The meeting put a focus on collective actions as potential avenues for strategic litigation with specific emphasis on the collective complaint mechanism of the European Social Charter (ECS(r)), a Council of Europe treaty which guarantees social and economic human rights. 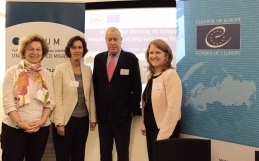 PICUM has collective complaint status with the ECS(r) and has been discussing with its board and members as to how this status may best be used to advance existing case-law on undocumented migrants. Building on PICUM’s international workshop “Using Legal Strategies to Enforce Undocumented Migrants’ Human Rights”,which explored the opportunities provided by a number of international and regional mechanisms, including the ECS(r), to advance the rights of undocumented migrants, this first meeting of the working group marked a key step in developing a potential case. A panel of legal practitioners composed of Laetitia Van der Vennet of the Plate-forme Mineurs en Exil, Katherine Booth of the International Federation for Human Rights (FIDH) and Pim Fischer, Lawyer at Fischer Advocaten, presented their experiences and particular insight in protecting undocumented migrants’ human rights through strategic litigation under the European Social Charter. 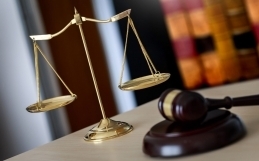 Should a case be brought at the national or international level? Should an individual or collective complaint be made? Should rights be demanded, or a practice be condemned? Who should file the case before the relevant court – an individual whose rights are violated or an NGO? How can an effective implementation of a positive decision be ensured? How can potential “perverse effects” of a positive decision be avoided? Always consider the opponent’s argument before building your own case strategy, and ensure you account for the consequences of losing a case when doing so. When starting to develop a complaint it is crucial to avoid the creation of “negative jurisprudence” and any possible negative consequence of losing a case has to be carefully assessed prior to filing a collective complaint. In order to challenge the implementation of national legislation and practice, it is crucial to build and present a strong evidence base to support the case. Building a collective complaint against unlawful and discriminatory legislation is easier in principle, as it would not require comprehensive data collection, which, in the case of undocumented migrants, is often very difficult. The Charter must be interpreted so as to “give life and meaning” to fundamental social rights. The Charter should be interpreted in line with other principles of international law. The scope of application the Charter cannot impede the proper compliance with other treaties or deprive certain social groups of their fundamental rights such as the right to life, to physical integrity or human dignity. Undocumented migrants are only protected under certain provisions of the Charter. The extension of the personal scope of the Charter to undocumented persons is considered by the ECSR as being exceptional, meant to secure the most fundamental human rights and to protect from serious threats to these rights. The Committee’s consideration that certain economic, social and cultural rights guaranteed by the ESC(r) should be applied to all persons present on the territory of a contracting state, stem from the rationale that these rights are closely related to the right to life and human dignity and are therefore fundamental. 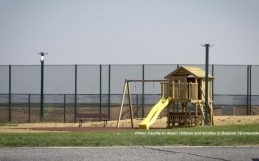 The recent decisions of the ECSR show that the ECSR may be inclined to recognize and protect the fundamental rights of undocumented migrants at least in extreme situations or where vulnerable groups, such as children, are concerned. To strengthen networking among its members, facilitate more strategic cooperation on key policy issues, and ensure its network remains informed about developments at both national and European level, PICUM hosts five thematic working groups with its members on the following key issues: access to healthcare; fair working conditions; the situation of undocumented children and families; undocumented migrant women’s access to justice; and legal strategies in advocating for undocumented migrants. 1 UN Charter-based bodies: Human Rights Council; Universal Periodic Review; Commission on Human Rights, replaced by the Human Rights Council; Special Procedures of the Human Rights Council; Human Rights Council Complaint Procedure. Additionally, there are currently ten human rights treaty bodies that monitor implementation of the core international human rights treaties: Human Rights Committee (CCPR); Committee on Economic, Social and Cultural Rights (CESCR); Committee on the Elimination of Racial Discrimination (CERD); Committee on the Elimination of Discrimination against Women (CEDAW); Committee against Torture (CAT); Subcommittee on Prevention of Torture (SPT); Committee on the Rights of the Child (CRC); Committee on Migrant Workers (CMW); Committee on the Rights of Persons with Disabilities (CRPD); Committee on Enforced Disappearances (CED). 3 Thus far there have been three successful collective complaints regarding undocumented migrants: International Federation for Human Rights (FIDH) v. France, Defence for Children International (DCI) v. the Netherlands and Defence for Children International (DCI) v. Belgium. Two other relevant cases that were found admissible by the ECSR are still pending: Conference of European Churches (CEC) v. the Netherlands and European Federation of National Organisations working with the Homeless (FEANTSA) v. the Netherlands. A full list of collective complaints before the ECSR is available here.